Affiliate links are used in this post. I may receive a small fee (at no cost to you) if you purchase something through the links provided. 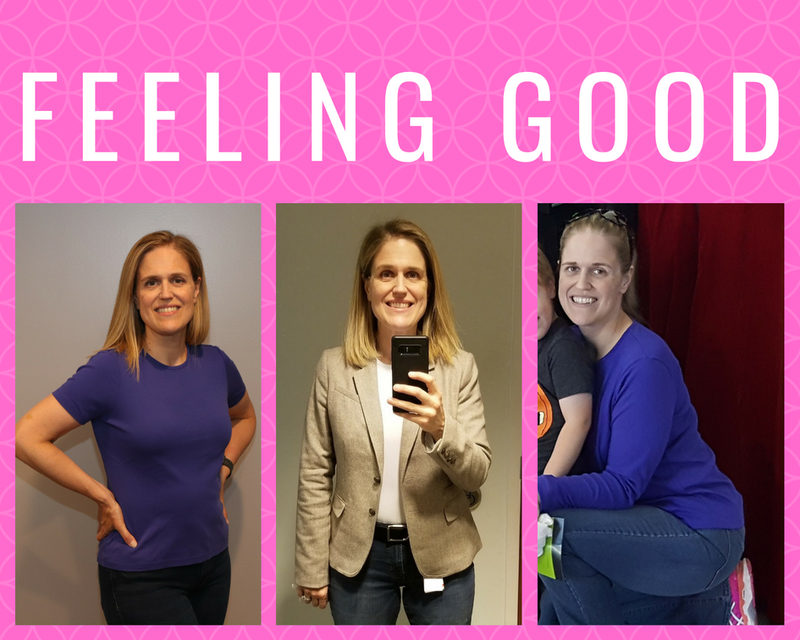 My weight loss journey has had many starts and stops but it wasn't until the past two years that I finally committed to me and my health. 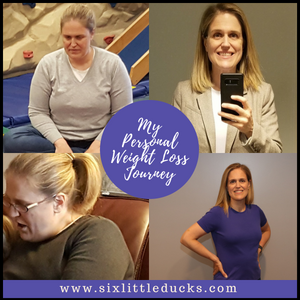 This is the story of my personal weight loss journey. When I was young I was average weight, I didn't start to gain significant weight until college and beyond. I went up and down in high school but was always within what was considered a “normal” weight range for my height and age. With college came lots of late night eating, pizza, and beer and with it came more than the “freshman fifteen”. I graduated with an extra 20 or 30 pounds. As I transitioned to the “real world” my weight became more of an issue. I was working desk jobs and not as active as I had been when I was younger. My weight crept up over the years. Throughout this time I would “go on a diet” and lose weight only to see it creep back on over time. When I met my husband I had been training for triathlons and had competed in several of them. While I wasn't in optimum shape, I was weighing in around 185-190 pounds. In the early stages of dating I kept up with my training program but slowly began to want to spend more time with him than in the gym. We also ate out a lot and that combination caused my weight to creep back up. At that point I didn't care because I was in love and my husband (then-boyfriend) told me he loved me no matter my size. We got engaged and were set to get married in August of 2012. I swore to myself I would lose weight before the wedding and get back into decent shape. Thankfully I did not make the mistake of ordering my gown in a smaller size as incentive because no weight loss happened prior to the wedding. 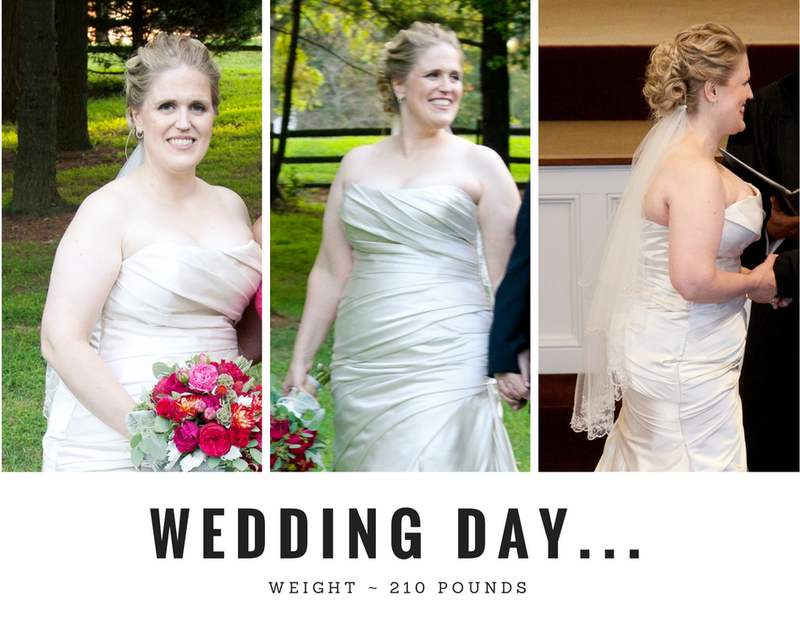 I got married weighing approximately 210 pounds. Soon after we married, my husband and I started trying to get pregnant. We were older and didn't have the luxury of time. We got lucky and I got pregnant within six months. Sadly that pregnancy did not last and I miscarried at ten weeks. Within two months I was pregnant again and would successfully deliver my son 8-1/2 months later. In February 2014 I delivered my son weighing just under 240 pounds (me, not my son). 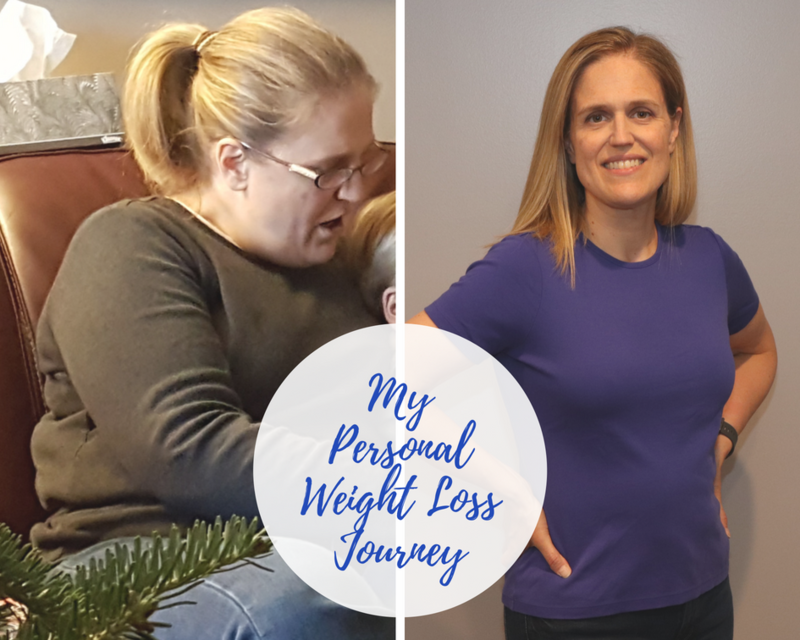 Within six weeks of delivery I had gotten down to 208 pounds thanks to breastfeeding, lack of sleep, and little time to eat. I was a happy mommy and happy wife and in love with my little family. My weight became a secondary thought and I didn't pay much attention to it. I was enjoying watching my son grow and thrive, learning how to walk and talk, and generally loving motherhood. As my son started to get more mobile, I spent a lot more time running after him, getting up and down from the floor to play with him, and just generally being more active. While it didn't make much of a dent in my weight, it did make me realize I didn't move as easily as I used to. My son was only going to get more active and want to do more. He was also going to need a mommy who could keep up with him over time. I knew I needed to do something. January 21, 2017 was the day that changed my life. It was on that day that I made the commitment to finally lose the weight. At 5'8″ tall, I weighed 228.2 pounds. According to my Body Mass Index of 34.7, I was obese. It was time. I started Weight Watchers that day, learning the current program and throwing myself into it with everything I had. I explained to my husband that I wanted to do this and that I needed his support. He was behind me 100% and said he would do everything he could to help me. 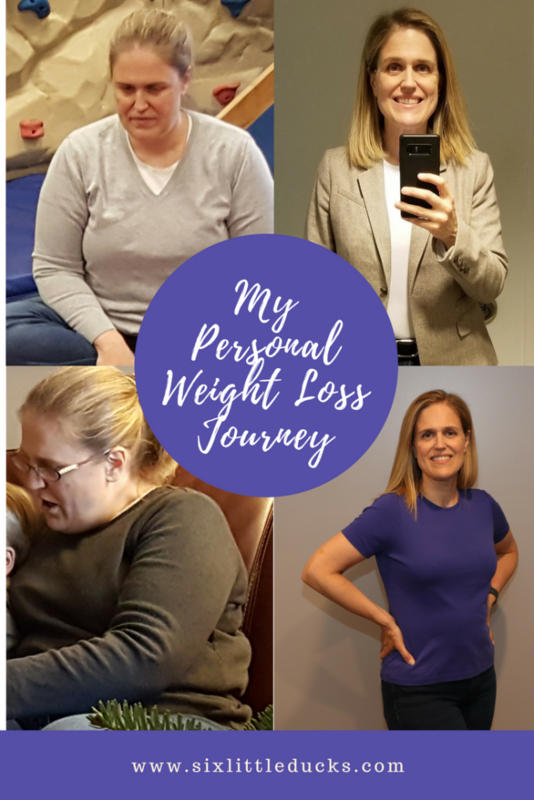 I started off the first few weeks concentrating on getting the fundamentals of the program in place, stocking the pantry and refrigerator with Weight Watchers friendly foods, meal planning, and measuring and weighing everything that went into my mouth. I didn't want to add exercise into the mix until I had a good feel for the program and had lived it for a few weeks. My first month on Weight Watchers I lost 12.6 pounds. I decided it was time to add in exercise. In previous weight loss attempts I had thrown myself into exercise immediately and tried to do something every day. While it worked for a little while, I eventually got burned out. This time I decided I was going to do something sustainable, even if it meant slower weight loss. I wasn't interested in Biggest Loser style workouts that required multiple hours of exercise per day. As a working wife and mother, that wasn't going to work with my schedule. Two days per week on the treadmill was a good starting point. Those sessions could easily be fit in on the weekends when my son was napping. I started out doing 30 minutes running at a verrrrrrry slow pace. I've always been more of an endurance runner so speed wasn't a huge factor for me. I gradually built up to 60 minutes at a time, upping the pace and incline as I went. Anything I did I wanted to keep it to an hour. This schedule worked well for me. I was even able to add in a weekday run here and there when the mood struck me. I had found my balance. In the second month of Weight Watchers I lost 8.2 pounds. I continued along for months on this program, eating well and exercising per my realistic schedule. By the end of 6 months I had lost 45.6 pounds. Then I got sick and ended up in the hospital for a week. I recovered from that only to discover that my gallbladder wanted to break up with me. I had to wait two months before I could get on the surgical schedule. During that time I was told to not eat anything with fat in it as that could trigger another gallbladder attack. Side Note: If you've never had a gallbladder attack you're lucky – they are the worst pain I've ever experienced, worse than childbirth. You are in constant pain and there's no way to get away from it. It's agonizing. October 30 I had my gallbladder removed and recovered quickly. Throughout this time I was still eating on plan (except during my hospital stay when I was eating much of anything). 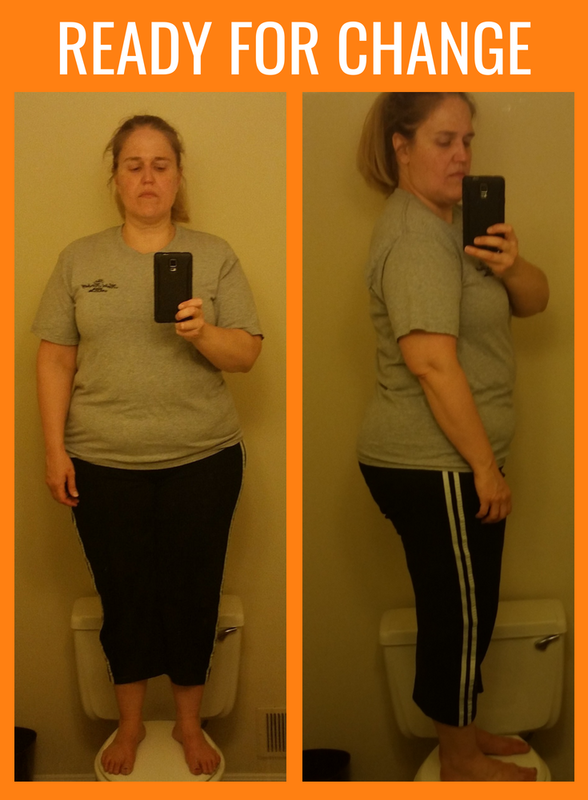 By the time the holidays rolled around I had lost another 24.6 pounds and was weighing in at 158 pounds. 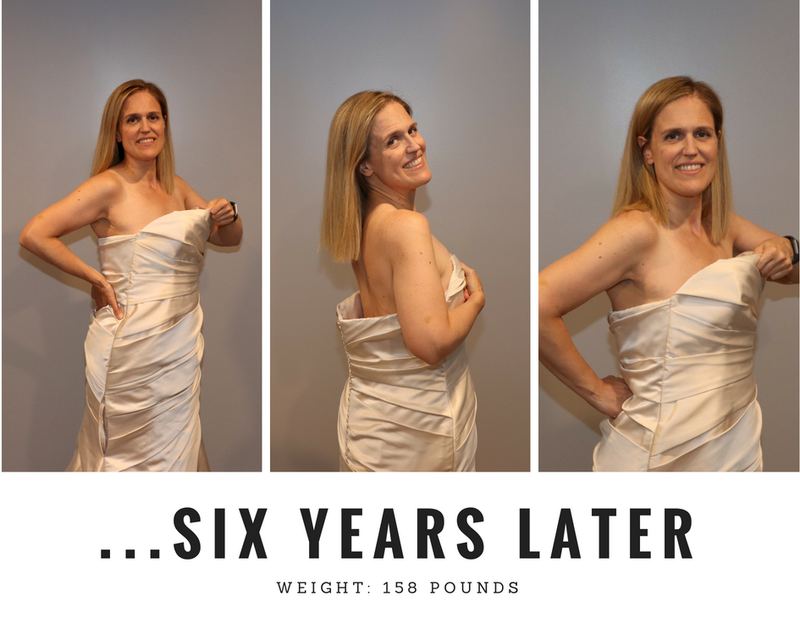 I had done it – I met and exceeded my Weight Watchers goal weight of 164 pounds (high end of a “Normal” BMI). My first personal goal weight of 150 pounds was next on my list of milestones, with 140 pounds as my ultimate personal goal. I maintained for several months and was feeling good. Things started happening in my life that were causing some emotional distress and that led me back to my favorite friend – food. I still kept to the Weight Watchers plan most of the day but would slip when nighttime would roll around. This went on for several months but I managed to stay in the low 160s. Try as I might I couldn't get back in “the zone” and I couldn't figure out why. I spent the next few weeks doing a LOT of soul-searching and finally figured out why I couldn't regain my healthy eating mojo. It all boiled down to unhappiness mainly focused around my job. My job was stressful and wasn't giving me the creative outlet I so desperately needed. I needed something else to focus on, something I could use as an outlet for my anxiety and stress. I did a lot of reading online and came across the idea of starting a blog. Blogging piqued my interest because I was looking for something that A) could be an outlet for my creativity and B) allow me to share my experiences in the hopes that I could help others. I devoured everything I could get my hands on about blogging. I spent hours scouring the Internet for guidance, reading others' blogs, and learning what I needed to do to get started. As I threw myself into building my website and blog a funny thing happened, my eating fell right back into place. Refocusing helped put me back on my path to wellness. The clarity I had been searching for was right in front of me. Happiness and meaning are my keys to successful weight loss and maintenance. If I don't feel like I'm contributing or doing something that brings meaning to me, my emotions take over and that leads directly to food. This is a lifelong journey; I've realized that from day one, however I didn't realize how difficult and enlightening it would be along the way. My journey continues and gets stronger with every new day and phase of life. Being open and receptive to learning about myself, applying what I learn, and doing the hard work to understand how I tick, those are the things that determine my success.